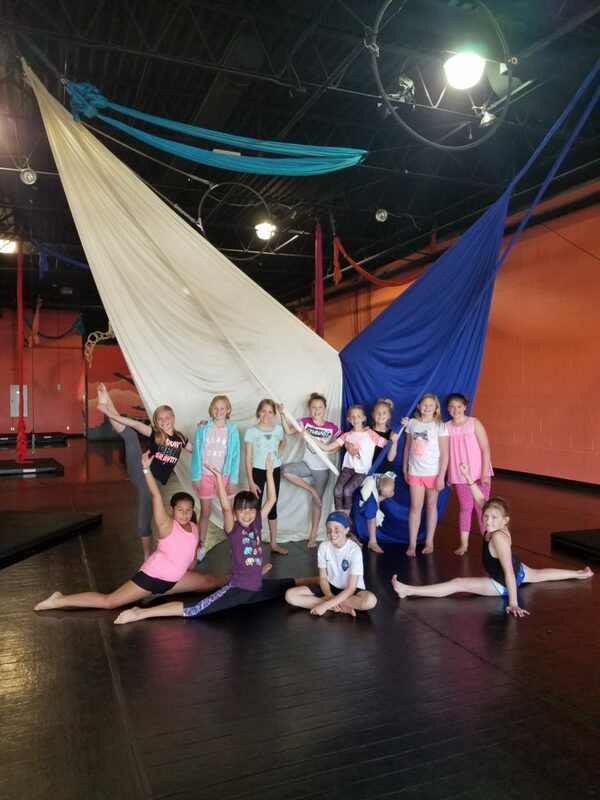 Our studio can be rented for birthday parties, bachelorette parties, and private groups, such as school intensives and team building events, for a reasonable price! Has your kiddo dreamed of having a Greatest Showman themed party? ACOD is the place where circus dream parties come true! Parties include an hour and a half of aerial fun plus time for cake/presents. Your guests will get a private aerial lesson including professional instruction with aerial silks, hoop, and trapeze. Cake and presents can both be done in the studio as well! Rates depend on the number of guests, so please email us for a custom quote. We have been perfecting the art of circus parties for 12 years! Here’s what people on Google and Facebook are saying about parties at ACOD.